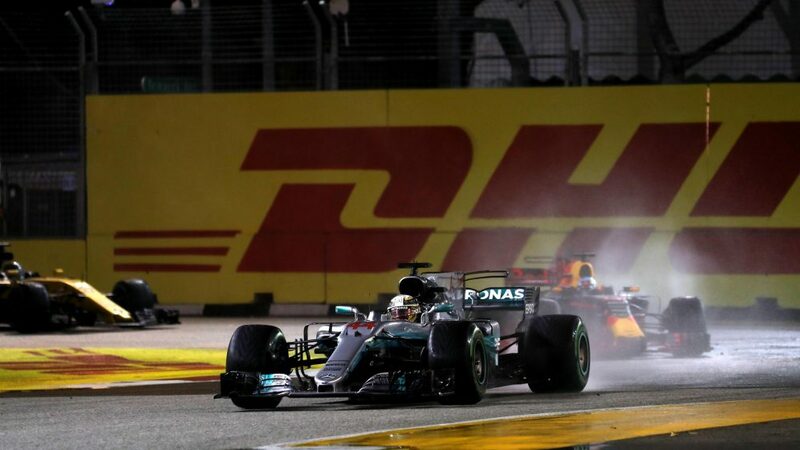 It was action from the off in Sunday evening’s Singapore Grand Prix – the first night race in F1 history to be run in wet conditions. 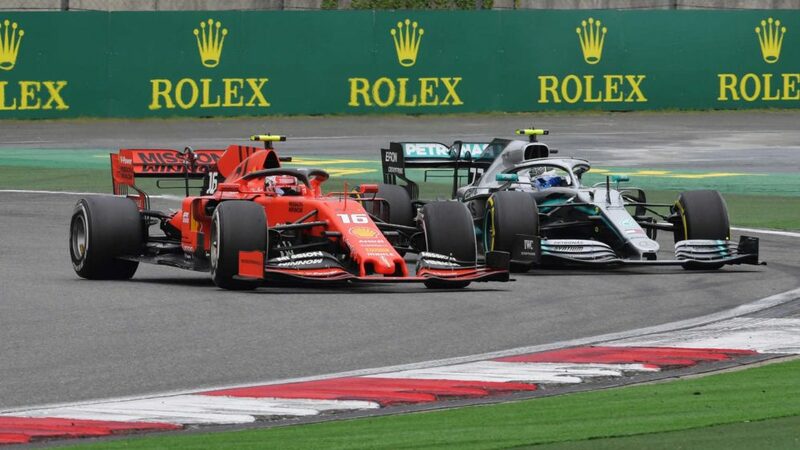 With both Ferraris and a Red Bull eliminated in a coming-together at the start, Mercedes’ Lewis Hamilton stormed to his 60th F1 victory, extending his championship lead over Sebastian Vettel from three to 28 points with just six races to go. In a race that ran to the full two-hour limit thanks to three safety-car periods, Daniel Ricciardo made the Marina Bay podium for the fourth year in a row, as he took second place for Red Bull ahead of Mercedes’ Valtteri Bottas. Carlos Sainz scored his best-ever result with fourth for Toro Rosso; Jolyon Palmer did the same as he finished sixth for Renault; and likewise Stoffel Vandoorne with seventh place for McLaren. 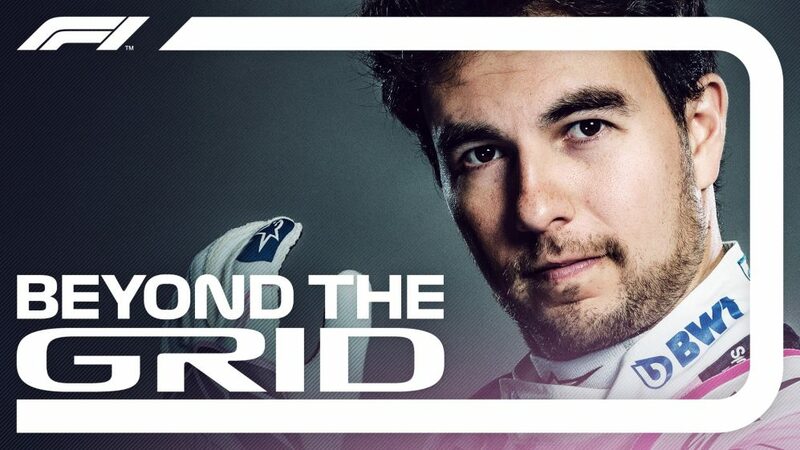 The remaining points places went to Force India’s Sergio Perez and Esteban Ocon in fifth and tenth respectively, Williams’ Lance Stroll in eighth and Haas’s Romain Grosjean in ninth. With the forecast rain having started to fall just prior to the start, Vettel led off the line from his hard-won pole position, but as Max Verstappen lagged alongside him, Ferrari team mate Kimi Raikkonen came creeping down the inside of the Red Bull heading to Turn 1. That was where the Dutchman found himself getting pinched in a Scuderia sandwich, and the three collided. Verstappen and Raikkonen were done for the night, sliding off on the outside of the corner and collecting an innocent Fernando Alonso, who had rocketed his McLaren off the line in typical fashion to briefly nose as high as third. Vettel clung to the lead as Hamilton jumped to second place round the outside, but then the German’s car damaged spun in a straight line, ripping off its nose and prompting his retirement. Hamilton thus led Ricciardo as the debris was cleared under the first of the three safety-car deployments. 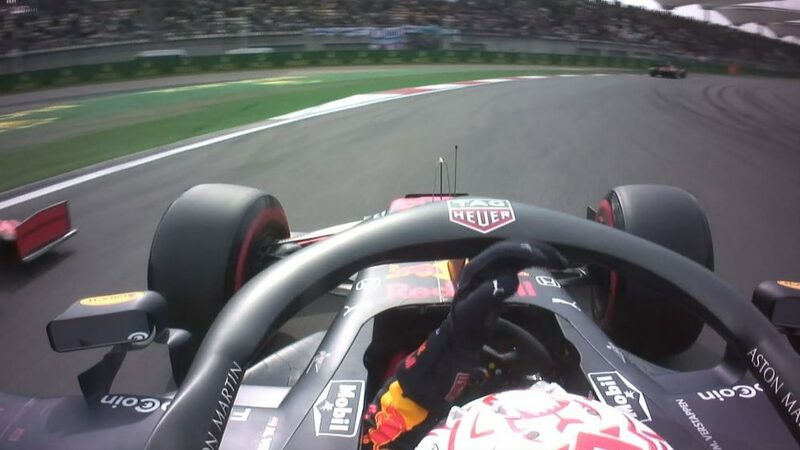 When the race resumed on the fifth lap, Hamilton began opening a gap to Ricciardo that was wiped out in the 11th lap when Daniil Kvyat crashed his Toro Rosso into the Turn 7 wall. Once again Hamilton rebuilt his advantage with another series of fastest laps, and by the 24th lap conditions were dry enough for slick tyres. Ricciardo took ultrasofts on the 28th lap, Hamilton a lap later, and yet again the Mercedes pilot opened up a lead, only to see it eradicated once more when Marcus Ericsson crashed his Sauber on the 37th lap after spinning on the Anderson Bridge. By then Ricciardo had been trading fastest lap with Hamilton, but when the track went green for the last time the Englishman was still able to draw away as he wished and eventually won by 4.5s. It was a great evening for Mercedes, with Valtteri Bottas bringing his car home third, albeit a long way behind the Red Bull. 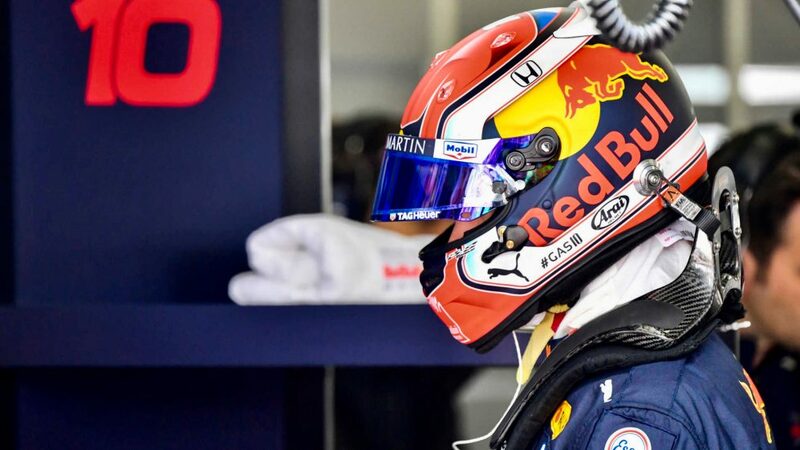 Carlos Sainz drove an excellent race for Toro Rosso and resisted race-long pressure from Force India’s Sergio Perez to take fourth place, 14s behind Bottas. And it was a good day at last for Jolyon Palmer who, after Renault team mate Nico Hulkenberg had fallen back from an excellent fourth place with mechanical problems, resisted attacks from Stoffel Vandoorne’s McLaren to finish sixth. Vandoorne was comfortably ahead of Lance Stroll’s Williams which benefited when the team split their early strategy and put him on intermediate tyres and kept Felipe Massa on full wets. The Canadian was chased home by Romain Grosjean’s Haas, as Esteban Ocon took the final point for Force India. Massa, in 11th, and Pascal Wehrlein in 12th, were the final finishers. 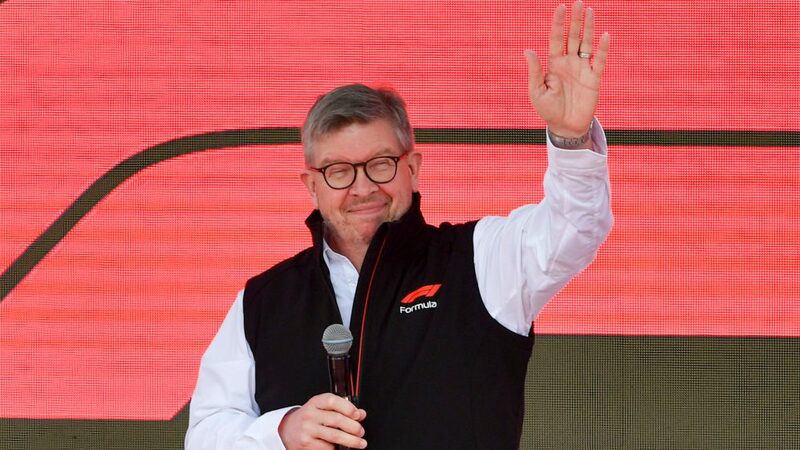 Besides Verstappen, Raikkonen, Vettel, Kvyat, Ericsson and Hulkenberg, Alonso recovered from his first corner delay but retired his damaged McLaren with mechanical problems which led to loss of power, while Kevin Magnussen, whose Haas had a problem with its MGU-K, was the final DNF.